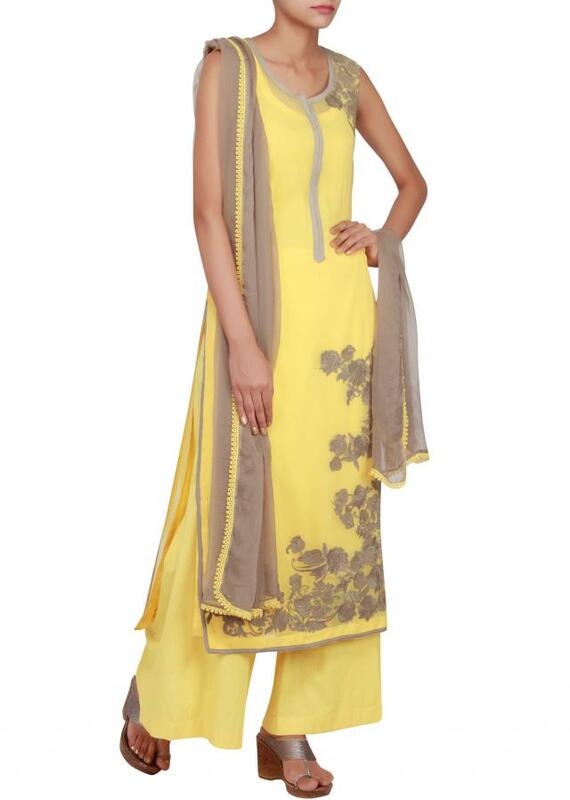 Featuring a yellow georgette straight cut salwar kameez embellished in brown thread work. 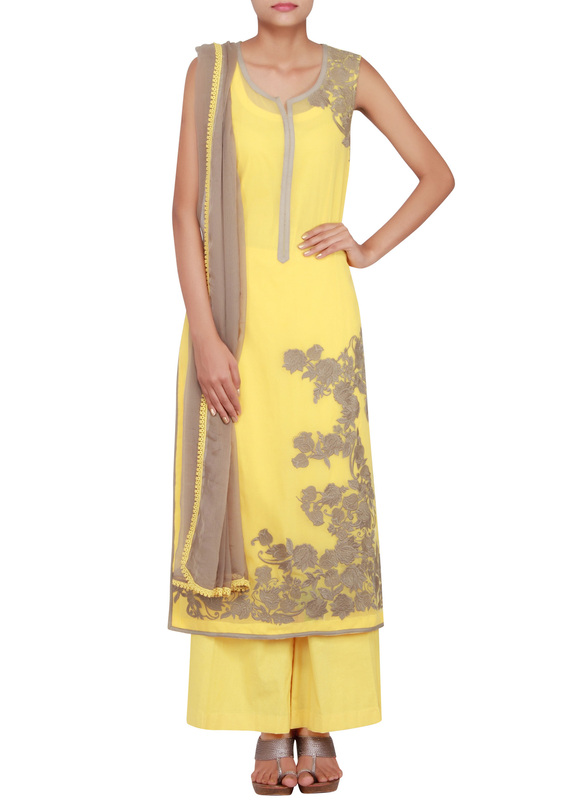 It comes with a yellow cotton lining. 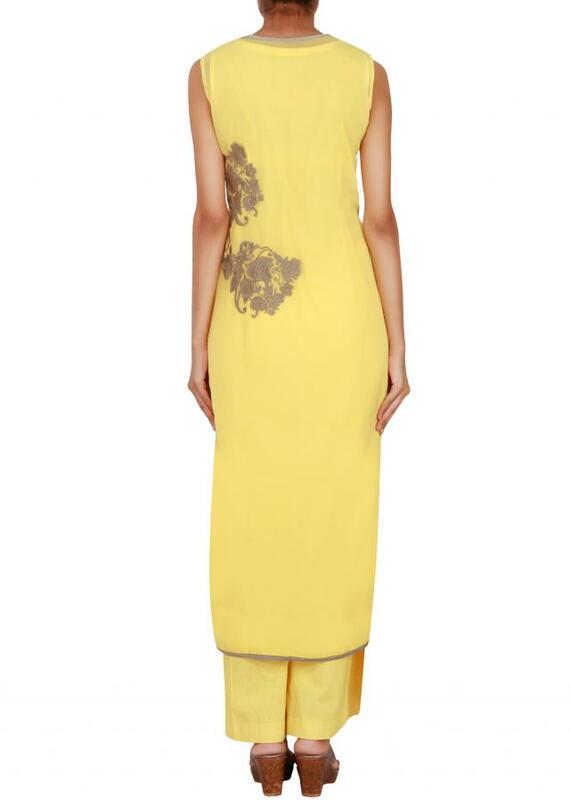 Side silts with hem in brown. 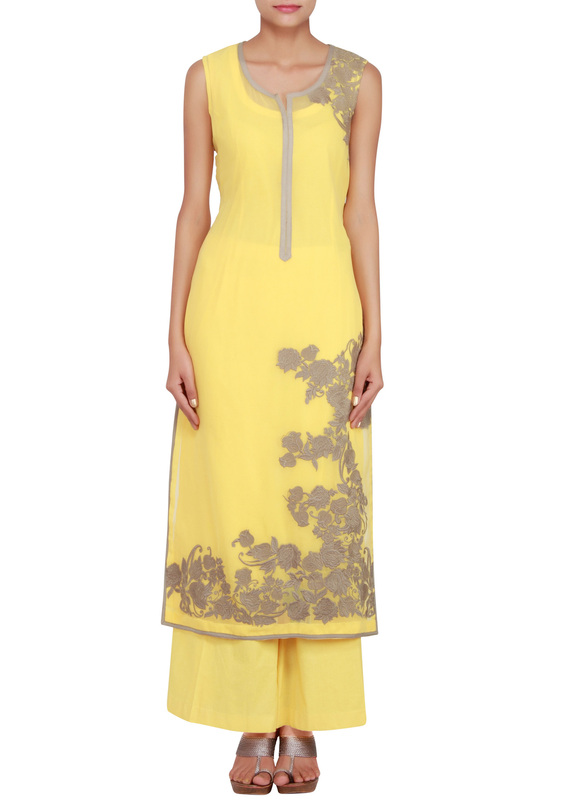 It comes with a yellow cotton palazzo pants. Dupatta in brown chiffon with yellow hem in lace.